Hi readers! Today's post kicks off a new series here on my blog. Lately I've been gravitating less towards constantly purchasing new products and more towards rediscovering loved products in my collection. I think that as indie makeup lovers, we can easily get carried with consumerism and the "more, more more!" mentality and neglect the stuff we already own. The Product Showcase series will allow me to share some of my most beloved indies with you while also helping me utilize items I already have. 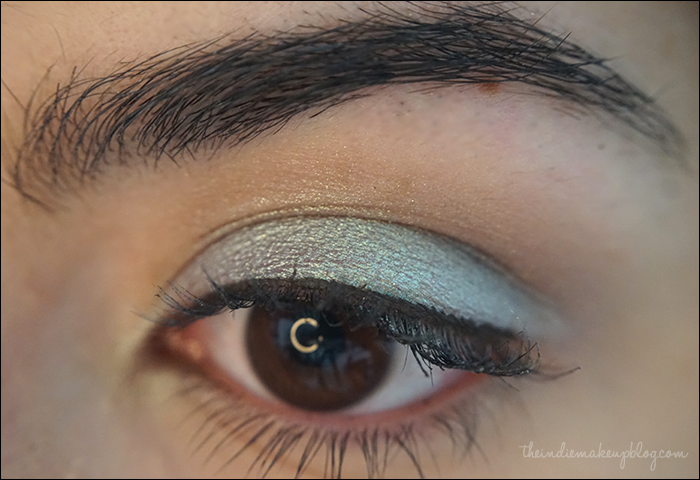 I figured I'd start this off with my long-time favorite eyeshadow: Darling Girl's Ladyhawke. For those of you who know me from the indie Reddit community, you probably have heard me sing praises of this eyeshadow already. 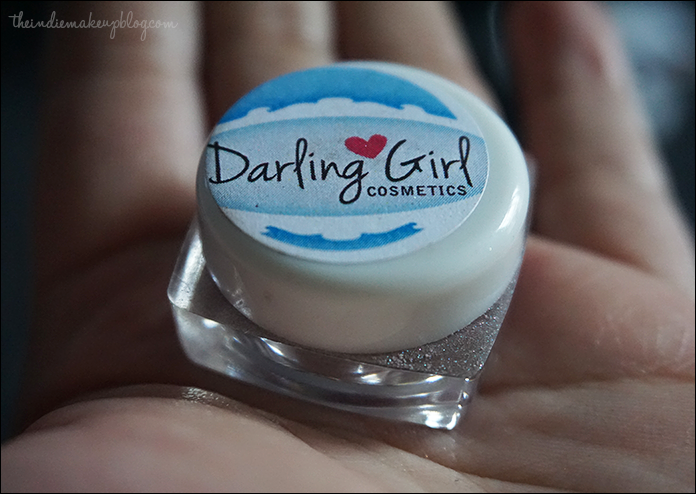 I picked it up early in my indie makeup journey with my first DG haul and it's been a love affair ever since. 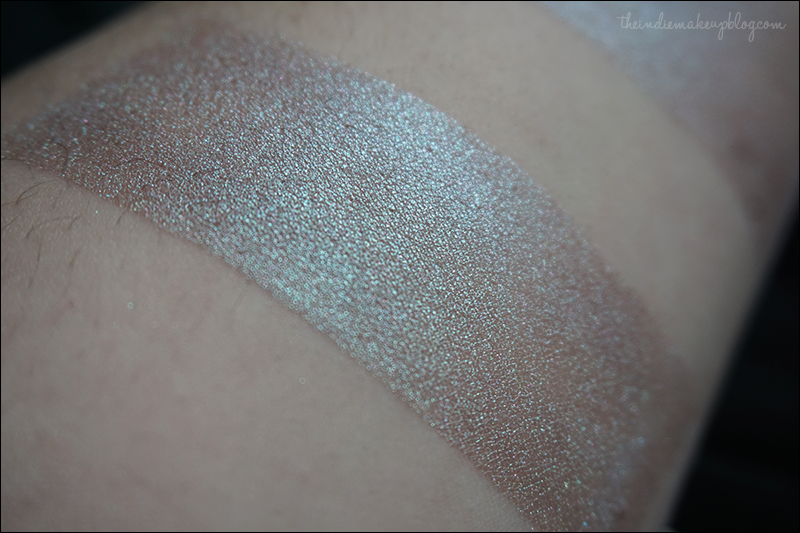 Ladyhawke is a medium taupe with an intense blue/green/teal duochrome. I instantly think of mermaids when I wear this color because of the blue to green shift. 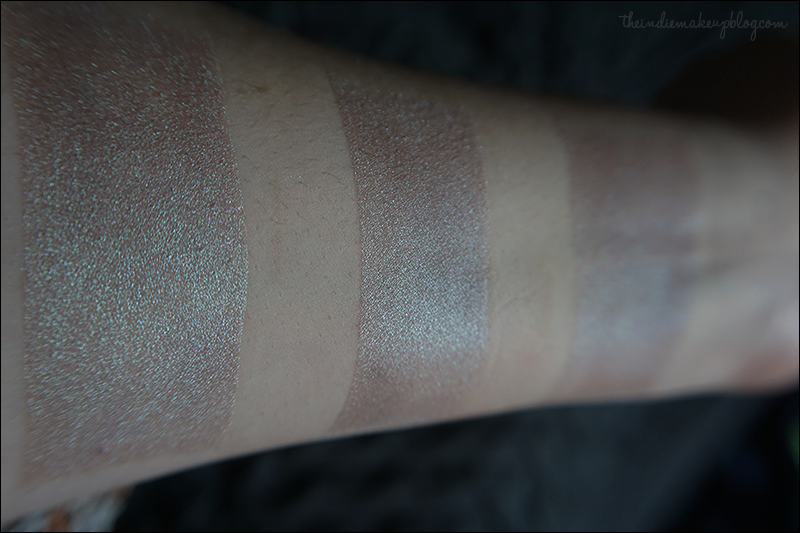 The formula is excellent - pigmented and smooth. 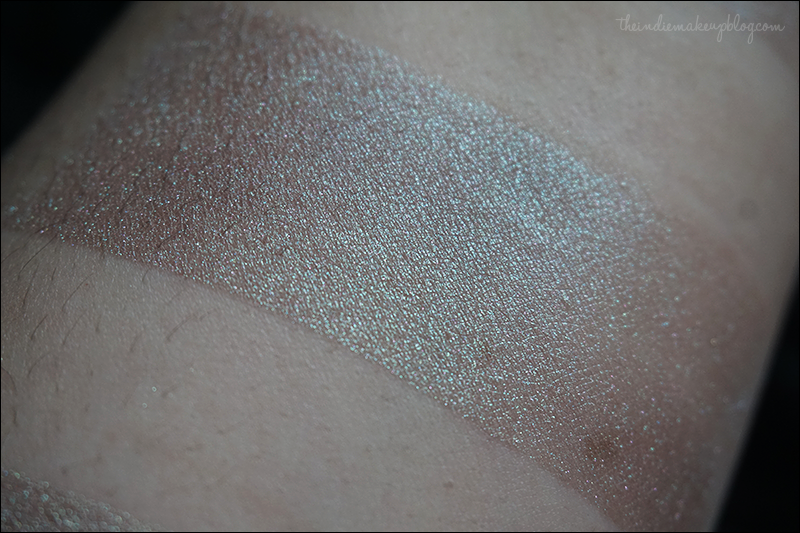 This is not a duochrome that applies patchily. I find it a pretty versatile shade in regards to wearability and color. Worn over bare skin, the shadow is a subtle but noticeable wash of taupe with a blue sheen, perfect for a daytime appropriate look. Adding primer amps up the effect of the blue sheen and makes the colors slightly bolder. When worn over a sticky base (I use Darling Girl Glitter Glue or Notoriously Morbid Shadow Bind), the shift comes to life and transforms the shade. 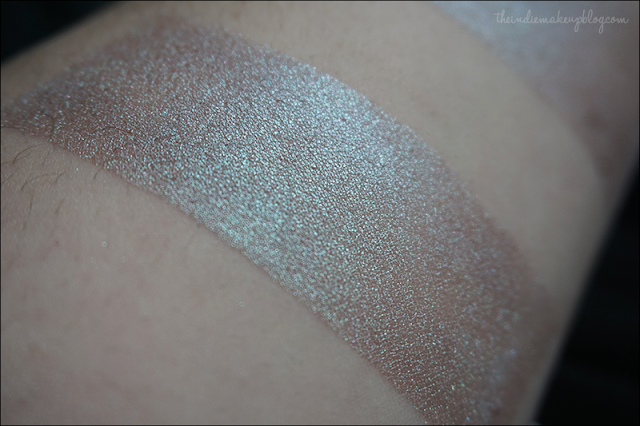 Depending on your lighting, the duochrome can look teal or even green. Here I've swatched Ladyhawke in three ways: over DG GG, over Urban Decay Primer Potion, and on bare skin so you can see how the shadow performs with and without a base. This look uses Ladyhawke as my only eyeshadow. 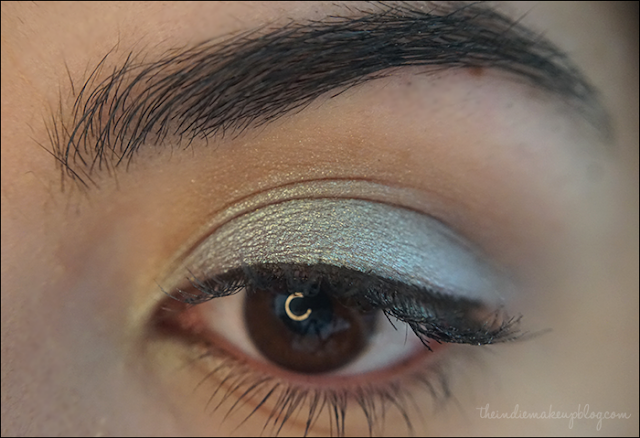 The cool thing about this color is that once you start to blend it out, the taupe base comes out much stronger so it makes you look like you're wearing two eyeshadows instead of one. Although my photos are a bit dim, I think the shift on this color is pretty intense. 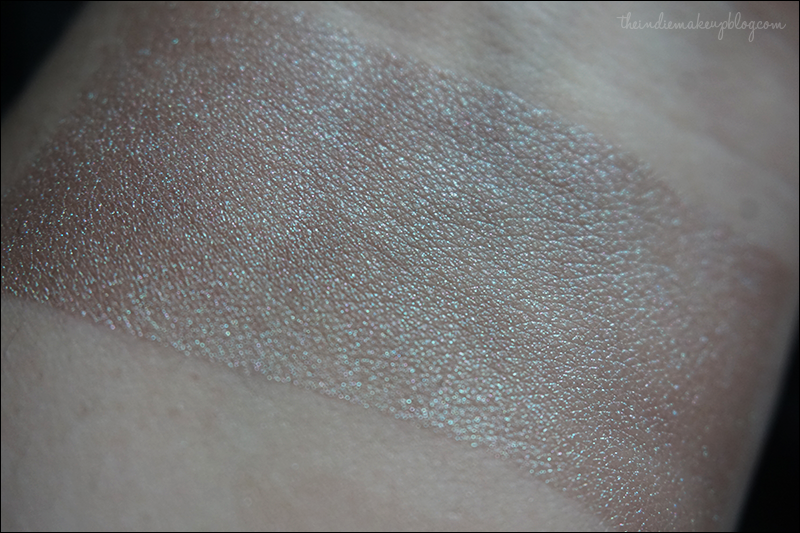 Trust me, if you wear this shade over a sticky base, you won't be able to stop looking at your eyeballs. This eyeshadow is somewhat of a chameleon as well. Depending on what colors you pair it with, the shift can show up more blue or more green, as demonstrated on the site's swatches. Ladyhawke is available here in petit and full size.